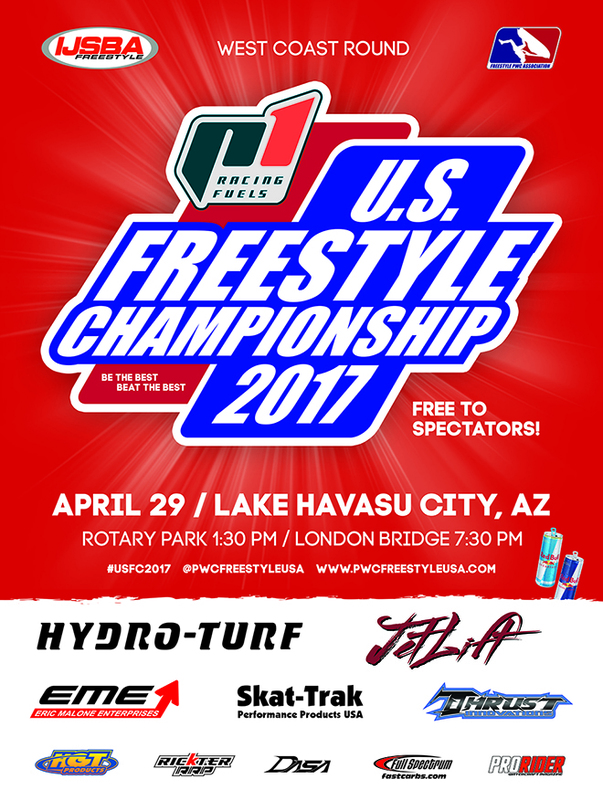 Freestyle Personal Watercraft Association (FPWCA) is happy to announce that IJSBA sanctioned event, the West Coast Round of 2017 P1 Racing Fuels U.S. Freestyle Championship, will take place in Lake Havasu City, Arizona on Saturday 29th of April 2017. This is a second year for the freestyle only tour in USA after crossing over from Europe where tour started 6 years ago. for the Best Trick Of The Night competition will move to the bridge-water channel under famous London Bridge. This part of the event is scheduled to start after dusk at 7:30 PM. Event is free to spectators.